Hiring a professional maid service can be a great way to keep your home looking its best while saving yourself the time and hassle of cleaning on your own. As with many services, however, one of the most common questions people have is in regards to tipping. Should you tip a house cleaner? If so, how much? While there are no cut-and-dry answers to these questions, there are some general etiquette tips and considerations that can be kept in mind when making the decision of whether or not to tip a house cleaner. Should You Tip Your House Cleaner? It’s rare to see a house cleaning service that requires tips, though some may build tipping into their standard rates. If this is the case, this should be clearly outlined to you in your service contract so that you don’t feel the need to tip any additional money. These days, more and more cleaning services have also begun to simply pay their cleaners a higher wage in order to forego the pressure for their clients to tip altogether. Again, this is where knowing the policies of your cleaning company can be informative. Another thing to keep in mind when deciding whether or not to tip a house cleaner is whether they’re the owner of the cleaning company or not. Generally, company owners do not expect tips because they’re able to more-or-less set their own rates and wages. An employee of a cleaning company, on the other hand, may rely on tips (much like servers at restaurants or stylists at hair salons) to make a living wage. If in doubt, it’s never a bad idea to tip your house cleaner—especially if he or she has gone above and beyond your expectations to provide exceptional service. Some cleaning companies don’t allow their cleaners to accept tips—but if this is the case, your cleaner will politely decline. Cash Tip or Something Else? If you want to show your house cleaner some appreciation but don’t feel comfortable tipping in cash, keep in mind that there are other options as well. Instead of tipping cash, you might consider gifting your house cleaner with a gift card to a local coffee shop or restaurant that you know he or she frequents. You can also consider gifts like a nice bottle of wine or even something handmade to show your appreciation. Some other common questions people tend to have about tipping house cleaners is how frequently they should tip and how much. This will really depend on your specific circumstances and the frequency of services provided. If you hire a professional cleaner for a one-time service, for example, you can either forego tipping altogether or offer a one-time tip. Things can get a little more complicated, however, when you have a recurring cleaning service. Your cleaner probably won’t expect to receive a tip every single week that he or she comes to clean your place. Instead of tipping a small amount at each cleaning, you might consider providing your cleaner with a slightly larger tip once every month or even once every few months. The exception here would be if you have a different cleaner with each service. You wouldn’t want one cleaner to reap the entire tip for a month’s worth of weekly cleaning services if there were other professional cleaners who came in throughout the month. In this case, it may actually be better to offer a small tip with each weekly cleaning instead of tipping a larger amount once a month. So, how much of a tip should you leave? Generally, it’s good to follow the same tipping etiquette here as you would with a hair stylist, taxi driver, or similar service. A tip of 15-20% is considered industry standard, so if your house cleaning services are $100, then a $10-$15 tip would be greatly appreciated. If you have more than one cleaner coming to your home, it is completely acceptable to split the tip between both cleaners; you are by no means expected to tip them each $10-$15, though if you received truly exceptional service, you might consider doing so. Another consideration to keep in mind when deciding whether or not to tip is the state of your home when your house cleaner comes in. If you know that your home hasn’t been cleaned in a while (you may need a deep cleaning!) and that you have an especially difficult project, such as a dirty bathroom or filthy kitchen, then you may want to consider tipping your house cleaner even if you wouldn’t other normal circumstances. 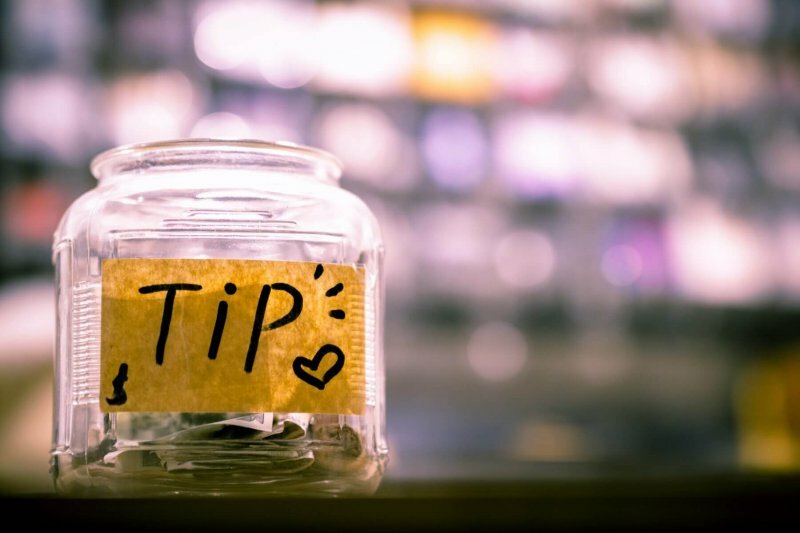 If you’ve hired a professional cleaner through an agency, it’s never a bad idea to contact the agency directly and ask for guidance on tipping. Some larger companies may rely on tipping customers to provide their cleaners with living wage, whereas others pay their cleaners a living wage that doesn’t count on tips. This can vary greatly from one city or region to the next, so reaching out can help you get a better idea of what other clients have done and how much they have tipped. Generally, tipping is not expected or required when it comes to house cleaning services. It is always nice to show your appreciation, however, if you have a house cleaner who does a great job or if you know your house cleaner’s living wage relies on gratuity. Tipping your house cleaner with each service is perfectly acceptable, though some people who have a regular house cleaner may prefer to issue a monthly tip or even a large year-end “bonus” of sorts, which can come in handy around the holiday season. 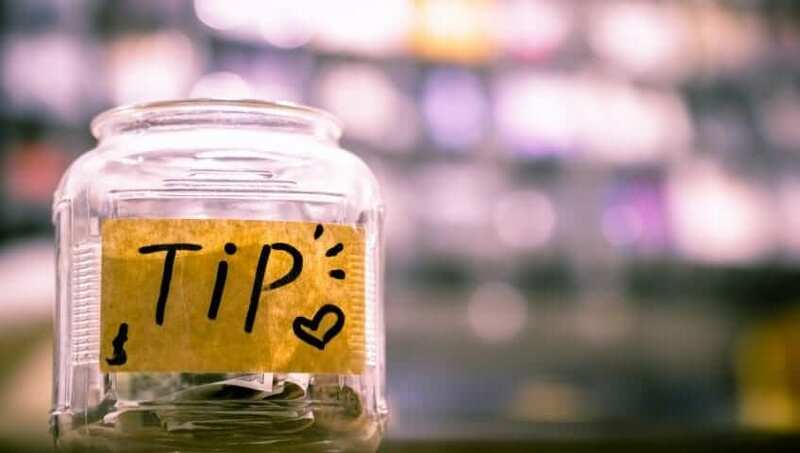 If you choose to tip, 15-20% of your total service is generally a good amount to go with—but you may consider more or less depending on your specific circumstances. Ultimately, the decision of whether or not to tip your house cleaner is entirely yours. Your house cleaner isn’t likely to do a poor job of cleaning your home if you fail to tip every single time, and many cleaners won’t even expect a tip. But like many other positions in the service industry, it is nice to be recognized for a great job with a cash tip or other form of gratuity, such as a gift card or other token of appreciation. At Maid Sailors, we do not require tips and our professional cleaners will never solicit tips from their clients, but you are always welcome to add a gratuity to your bill if you believe you’ve received exceptional service. Contact us today to set up your next house cleaning!